Indoor pollution is a health hazard for everyone, but especially for those with allergies, chronic obstructive pulmonary disease, asthma, or compromised immune systems. If you have dirty air ducts, understand that mold spores, dust, pet dander, pollen, and other dangerous microorganisms can infiltrate your living space every time you turn on your heating and cooling system. Here are some potential health consequence of dirty air ducts and how your heating and cooling professional can help keep you and your family from getting sick. Mold is a fungus, and when mold spores infiltrate your indoor air, inhalation exposure risk is high. 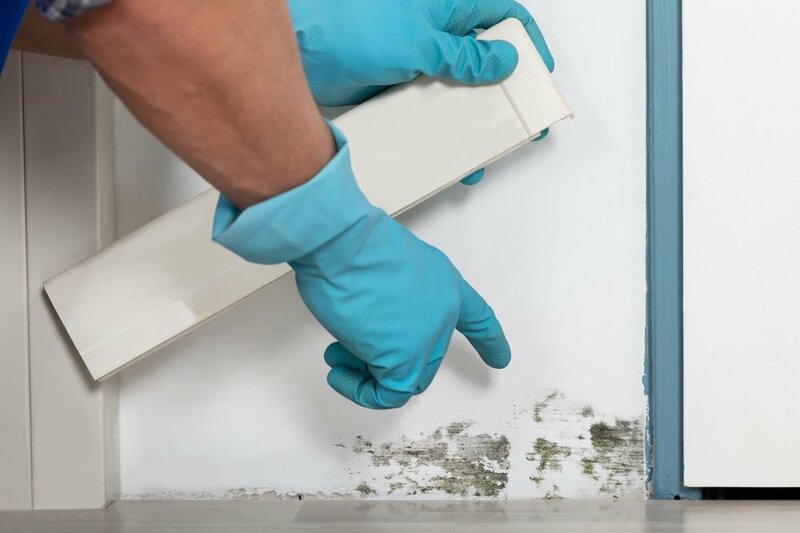 Inhaling mold spores may predispose you to fungal infections of the lungs and nasal cavity, which, unlike bacterial infections, are not responsive to antibiotics. Antifungal medications are the treatment of choice for a mold-related infection. However, fungal infections are sometimes resistant to treatment. Also, antifungal medications can produce serious side effects such as abdominal cramping, diarrhea, headache, alterations in blood pressure, and taste alterations. Hire a heating and cooling professional to clean the components of your unit with special tools and duct-cleaning vacuum cleaner. Once your air ducts have been cleaned, the air quality in your home will help you and your family stay healthy. Mold and mildew that has collected in your ductwork can also cause urticaria. Also known as hives, urticaria causes severe itching and welts, and in some cases may predispose you severe swelling of the lips, tongue, and throat. If your home had a leak because of a structural problem or broken pipes, your air ducts may be more likely to harbor mold and mildew because these microorganisms tend to proliferate in areas where standing water and condensation have accumulated. If you or anyone in your family suddenly breaks out in hives or develops an itchy rash, make an appointment with your doctor. In the meantime, call a heating and cooling professional to inspect your air ducts for signs of mold and mildew infestation. Not only are humans susceptible to the health consequences of mold and mildew exposure, but pets are too. If your dog or cat is suffering from extreme itching, or if you notice round, red circles on its body, the animal may have ringworm, a fungal infection of the skin. Mold spore exposure may also raise histamine levels in your body, triggering systemic inflammation. If systemic inflammation is not suppressed, it can cause difficulty breathing, gastrointestinal problems, blood pressure problems, and even a higher risk for developing cardiovascular disease, renal problems, and autoimmune disorders. Mold exposure from dirty air ducts can also lead to histamine intolerance, a condition where you can develop watery eyes, runny nose, diarrhea, breathing problems, hives, and chronic itching. Once your air ducts have been cleaned, systemic inflammation and histamine overload symptoms may resolve. It is important to note that although having your air ducts cleaned will improve the air quality of your home, your physical symptoms may take weeks before they completely resolve. In addition to cleaning your dirty air ducts, your heating and cooling professional will also inspect your cool air return registers to make sure they are not clogged with dust and debris. If the register grates are dirty, the technician will vacuum them or remove them and wash them so that all traces of debris are removed. If you are concerned about mold and mildew infestation inside your air ducts, contact AirGanic today to schedule an appointment for an inspection. Maintaining your heating and cooling system saves your money, improves your air quality, and keeps your system running at peak performance.